We believe that these elections can in no way be called honest, transparent, fair and in compliance with international standards, including obligations within the frameworks of the United Nations and the Organization for Security and Cooperation in Europe (OSCE). The complete absence of fundamental freedoms in the country, including freedom of expression and the media, access to information, freedom of association, freedom of peaceful assembly, and freedom of movement, the right to a fair trial; and other rights makes meaningless any discussion about legitimacy and fairness of elections in Turkmenistan, regardless of the rules of procedure of the elections, how election day itself plays out, the voting, and the vote count. No real election will happen in this country. What is called an “election” in this closed country, with its archaic and repressive system of government, is a parody. The existence in Turkmenistan of a large group of people, who have been disappeared in prison for many years, is a powerful instrument in the hands of the authorities to strike fear into the public. This is a key obstacle to any modernization and democratization of society. This is why Turkmenistan’s authorities refuse to solve the problem of the disappeared despite the demands of the international community. Many years of repression serves as the main instrument of social control. The systematic intimidation of the population does not leave even the slightest possibility for independent social and political activities, the emergence of a competitive political environment, freedom of expression and discussion of the state of the country and prospects for development, all of which are a prerequisite for free and fair elections. For international organizations to discuss only legislative problems connected to elections or the organization of the electoral process is to lie to themselves and to do a disservice to the Turkmen people. The rapid adoption of the new Constitution of Turkmenistan in September of last year is a testament to the efforts by President Berdymukhamedov and his entourage, including his relatives, to establish unlimited power in the country by removing all constitutional obstacles to a life-long rule. The legal gaps, which were purposefully left in the text of the new Constitution, are particularly concerning. These include a failure to recognize the priority of international treaties over national laws and the absence of equality for all before the courts and law, which effectively puts the president above the law. This creates broad possibilities for manipulation, abuse and the creation of a personality cult like that of Stalin and Mao. In working on the text of the Constitution, the government of Turkmenistan ignored all the recommendations by the OSCE Office for Democratic Institutions and Human Rights and the United Nations Development Program on bringing the draft of the constitution in line with international law, including election standards. President Berdymukhamedov’s personal promises to German Chancellor Angela Merkel in August 2016 to implement international recommendations about changes to the draft constitution remain unfulfilled. The hurried corrections to electoral legislation, which were made later, right before the elections, did not reflect the basic changes included in the newly adopted Constitution. 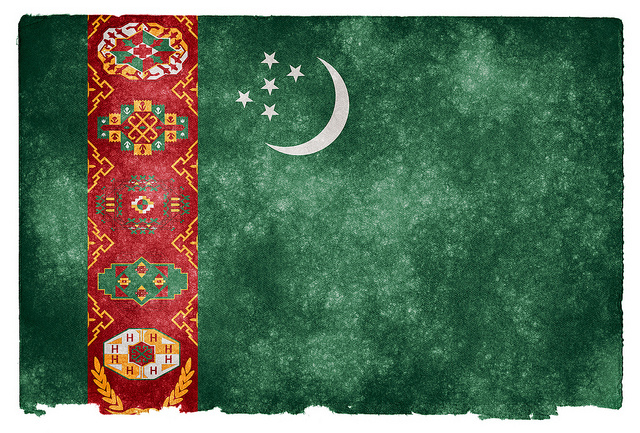 The disparity between the election laws and the norms of the Constitution raises questions not only about serious internal contradictions in the national legislation of Turkmenistan, but also about the legitimacy of the upcoming elections. Furthermore, the inclusion of changes in the Constitution and electoral legislation so close to the upcoming elections does not correspond with a generally accepted international principle—not to hold elections less than a year after changes to electoral legislation. Preparation for the upcoming elections was accompanied by unprecedented pressure from the authorities on all of society, and especially on civic activists and journalists. The demolition of privately owned satellite dishes, the blocking of internet access to many information resources and social networks, the search for and prosecution of those who tried to overcome that blockade, the hunt for stringers—both photographers and journalists, and the complete censorship of television, including broadcast of foreign TV channels after preliminary recording and censorship—this is the reality of these so called elections. Recently the authorities have been more actively using anonymous websites controlled by the government to discredit the dissenters and civil society as a whole, equating them to enemies of the people. We call on all interested parties, including the OSCE and other international organizations, to take a principled stance and to not recognize the presidential “elections” in Turkmenistan as free, transparent, fair, competitive, and in accordance with international standards. We call on the heads of democratic states to refuse to congratulate “the newly elected” President of Turkmenistan Berdymukhamedov on his electoral win. This must be a serious signal to him and his entourage that the open manipulation of national legislation, repression and intimidation of society, and the imitation of competitive elections in a pre-election campaign cannot be accepted as a method to hold on to power. We also call on international organizations and the governments of democratic countries to put serious pressure on the authorities of Turkmenistan with the goal of pushing them to real—not imitation—democratic transformation of state and legal institutions in order to solve the most serious human rights problems and to create principled changes in its internal policies with regard to civil society and society as a whole. We call on the international community to express its solidarity with and support of all of Turkmenistan’s society and to provide all available assistance to civic activists, dissidents, and journalists living and working in the horrific conditions of this totalitarian regime. The Turkmenistan Civic Solidarity Group is one of the working groups of the Civic Solidarity Platform, a broad international network of nongovernmental human rights organizations, which has been active for over six years in the framework of the OSCE and including over 80 organizational members from 30 countries of Europe, Asia and America (www.civicsolidarity.org). The Turkmenistan Civic Solidarity Group includes Crude Accountability (USA), the Centre for the Development of Democracy and Human Rights (Russia), Freedom Files (Russia and Poland), the Norwegian Helsinki Committee, the Human Rights Center Memorial (Russia) and Turkmen activists.